For a FREE U.S. Cellular Parent Child agreement about cell phone and Internet usage click here. This is a great guide to start talking to your tween or teen about the responsibilities that come with having a cell phone such as limits, safety, and more. Everyone knows spring is when you should clean, right? The sun starts warming the earth and the whole world comes out of hibernation. People are cleaning their yards getting them ready for the coming summer. To start this process, the obvious place to start is the outside of your cell phone. 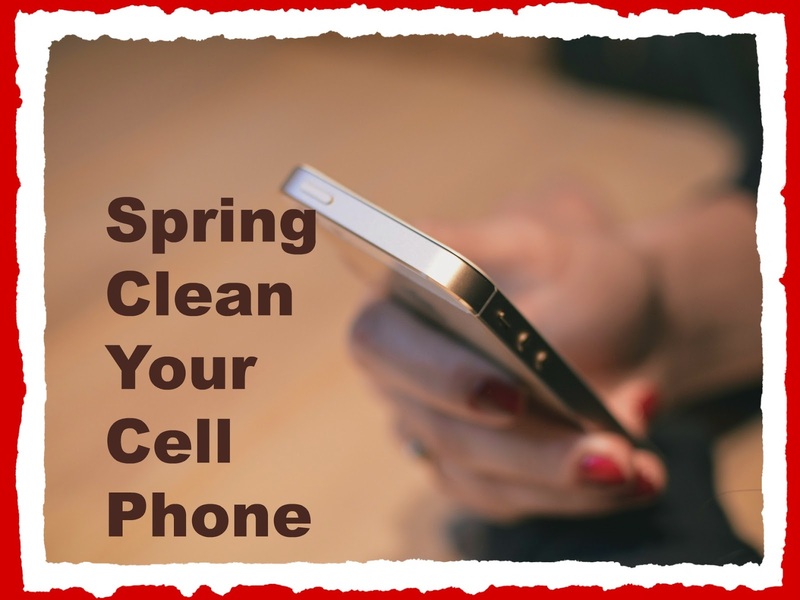 Remove your phone from its case and clean both the case and the phone. Just be sure and use something like a microfiber cloth for the screen so you don't scratch it -- or specially formulated Gadget Guard cleaner. Starting inside your phone, clear the clutter. Deleting old texts, voicemails, phone history, and even apps you no longer use will not only help your phone work more efficiently but will also give you more storage space for the things you do want to have. Imagine my dismay last spring when I didn't do this and ran out of space during a moment I really needed to be taking a video. I paid almost $700 for a week of training, and we were encouraged to video the speakers, and I ran out of space! That was a costly mistake! Now is the perfect time to transfer photos and other files to a cloud, such as dropbox. By doing this, you free up space on your phone, can access your files from anywhere, and it frees up space on your phone. Did you know that you can boost battery life by turning off WiFi and 4G when you don't need it? Same with Bluetooth -- and remember you can turn down the screen brightness to save battery. You can refresh your phone with it's own mini-makeover -- why not get yourself a new, fun case to celebrate the clean out? An additional thing you may wish to consider for spring is since road trips are just around the corner, you may want to get an extra charger for the car. I know that since spring has hit, I have been geocaching a bit more, and sometimes I am running my phone's battery quite low, so I invested in an extra cord and a car charger. That way I won't run out of battery when I might really need to contact someone or use an app to help me navigate back home! Finally, don't forget to back up your phone. I didn't do that last year and I lost a number of photos, including some of my now-deceased mother, the first photo of my boyfriend and I together, and others that I would love to have back. As always, you can check out what device workshops are available in your area at your local U.S. Cellular location by clicking here. 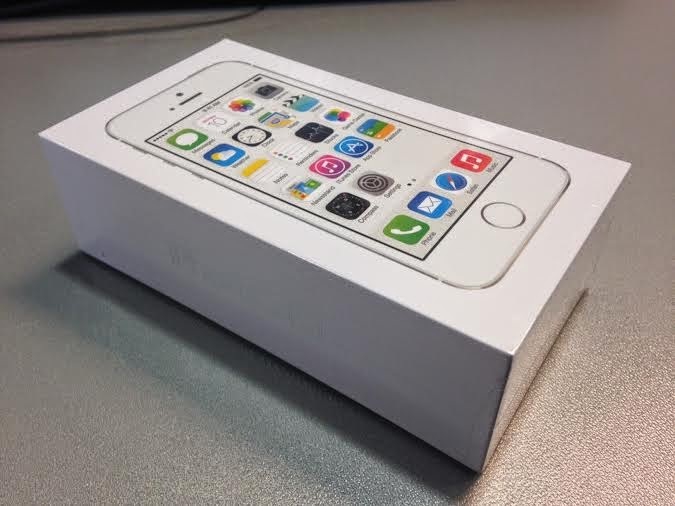 How would you like to win your very own U.S. Cellular iPhone 5s? Then keep reading. . . Giveaway open to the U.S.A only. Must be 18 or older to enter, winner must respond to winning e-mail within 2 days or another winner will be chosen. Ends May 30, 2014. I love the fingerprint safety feature. My wife takes care of that for me since I work all the time! I love the New 8-megapixel iSight camera with True Tone flash on the iphone 5s! I take a ton of pictures so a nice camera on my phone is a must! I spring my phone all the time, I hate having all those old texts and such In my phone, I also delete old apps, pictures, videos, and such. I like to keep a clean slate! I like the 4 inch retina display. I'm not spring cleaning my phone because I've had it only a short time. I like the Touch ID fingerprint sensor. I'm going to spring clean my phone because it needs it! My favorite feature is the Touch ID fingerprint sensor. No, I am not spring cleaning my cell phone. I usually make sure that everything is organized on my phone. I like the ID touch fingerprints sensor, thank you. Yes, not only spring season but whenever the storage space is low. Yes, I am spring cleaning mine. I have my pics backed up by a cloud service but I have got to delete a bunch of old text messages. I love the touch ID sensor that scans your fingerprint to unlock the phone. How awesome is this! Not yet but I have now added it to my list of things to do in the next week. I really should spring clean mine. I hadn't thought about it. I like the iSight Camera the best. ISight is the bomb....need it badly cracked my screen!! Cleaning my phone inside and out make room and get clean doing it! My husband has an iPhone 5, and I love how stable it is! Many thanks for including our blog in your post! We'll be launching our giveaway soon and am planning to include a link to your post in mine as well! Thanks! I keep my phone organized and clean throughout the year, so no need to do it just in spring. I am not spring cleaning my cell phone yet. I'm going to try to make it til the end of the summer and then get a new one. Love the 4 inch retina display feature! Would love to win this awesome phone - thanks for the chance! This phone is awesome. It's thin, light, and beautiful. Unique features include a 64-bit processor and Touch ID. One handed operation, intuitive user interface, and Retina display. I love this phone! My favorite feature is the fingerprint sensor. I also like the internet features. My phone now is ancient I have no camera or internet. I would love to spring clean my phone if I could find it. It has been missing for over a week. I am not good with spring cleaning. The minute I delete something I seem to be looking for it within a week and upset that I deleted it. I am not spring cleaning my cell phone right now. I love the 1080p HD Video Recorder! I will start spring cleaning my cell phone by clearing out unwanted apps or those that I hardly use! I like having the fingerprint as a security code...no one will be able to break into my phone! I'm not spring cleaning my phone just yet. I just got used to how it all works, so I'm enjoying it still! The Touch ID Sensor, which uses your fingerprint to unlock the phone, seems like a great feature of this model. Great upgrade! I like the new 8MP iSight Camera mostly because it can shoot in burst mode which my current Windows phone can't. I will be Spring Cleaning my cell phone soon because I have way too many video's and pictures on it. I like the 1080 HD video recording capability. I probably won't spring clean my cell phone, even though it needs it, because I am a procrastinator. Lol! 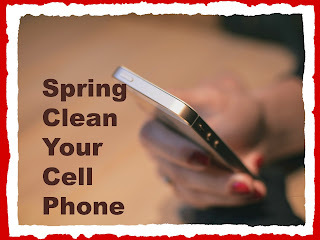 I will spring clean my cell phone, now. I must admit it hadn't occurred to me, but I think it's a great idea. Thanks! I like that this phone has Face Time HD camera/ 1080p HD video recording . I love the 1080p HD video recording. I like the simplicity apple has to offer. My Samsung is too busy with features. Iphone offers just enough. Yes because I forget to delete text messages, so I am going to go through it and delete them. I love that the iPhone 5s has a 8mp camera. Yes, I am always deleting old calls, texts and apps that I no longer use. No but I should I never really thought about it. I am not spring cleaning my cell phone because its working fine. I am not spring cleaning my phone,because it is working excelent. i recently spring cleaned my phone. i had to delete a lot of stuff.